He has never been concerned about what Russia thinks; notwithstanding, he is wary of the installation of a permanent US military base in Poland. 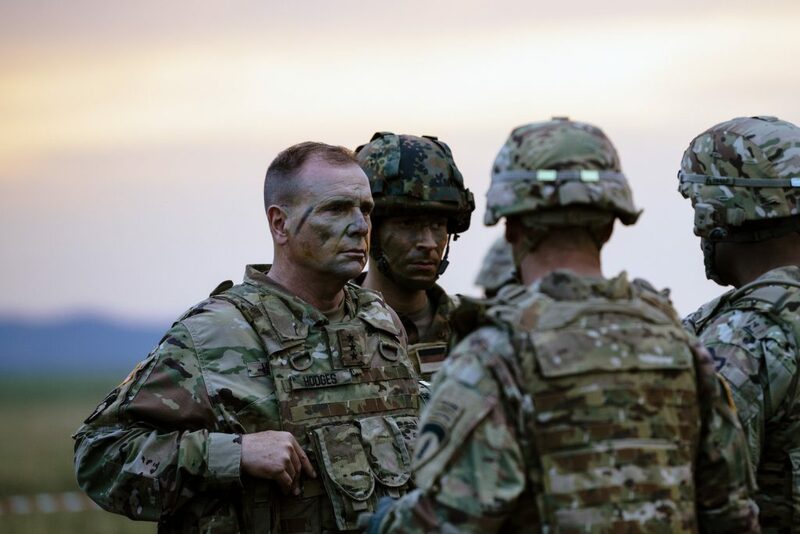 In an exclusive interview to Válasz, the former commander of the US Army in Europe, Ben Hodges, underlines that the modernisation of the Hungarian Army is on the right trajectory but improvement is still essential on various fields. The retired Lieutenant General, who now works as the Pershing Chair in Strategic Studies of the Washington-based Center for European Policy Analysis, also addresses the Hungarian veto that prevents Ukraine’s further euro-Atlantic integration and explains what could he never imagined about his former commander-in-chief, Donald Trump. – From a military prospective, how vulnerable is Hungary? – Hungary is a key member of NATO and has been a reliable ally for years, as evidenced by its troop contributions to operations overseas. Its current modernisation efforts are evidence of that reliability as well. The threats to Hungary are the same ones that face all of the alliance: aggressive use of misinformation and cyber by the Kremlin to interfere with and undermine our institutions and create disunity inside the alliance, an increasing advantage by the Russian Federation in terms of electronic warfare and missile defense, the need for increased military mobility that will allow the alliance to move more quickly to prevent crises or respond to threats, and continued instability in the Balkans, aided in part by Kremlin interference. – However, when it comes to the threats by Russia however, critics say Hungary is not exactly willing to tackle them. – I am not trying to be evasive but Hungary, like every country, has to do all it can to protect the institutions of liberal democracy because those are what make a resilient society, which is what necessary to protect against Russian or other external interferences. That is an important part of overall security. Hungary is lucky enough to be in a different strategic situation than Romania or Estonia where you have a border either with directly to Russia or indirectly through the Black Sea. misinformation and cyber warfare know no boundaries and anything that undermines the cohesion of the alliance is a threat. – If you had been given an order to prepare the invasion of Hungary, how would you have done it? – I am not going to answer this…no value in helping any potential adversary figure out how to attack one of our allies. – To your view, what are the blind spots of the Hungarian armed forces? – I am satisfied that Hungarian ministry of defense is addressing the key challenges appropriately. Your minister of defence, Col. Gen. (retired) Tibor Benkő, and the vice chief of the Hungarian Army’s General Staff, Lt. Gen. Gábor Böröndi, are the two persons I am the most familiar with: I know they are working very hard and committed not just to reach the 2-per cent defence cap but also to overall modernisation. They are on the right trajectory. But it is not just modernisation and defence spending that matters. For instance if American, British, German, French, Dutch, Danish or Belgian troops are to move to Romania, they would almost certainly have to pass through Hungary which has a responsibility, like every member of the EU or NATO, to ensure military mobility: providing border crossing with very short notice, the rail and highway infrastructure to make military equipment move quickly. This quickness is a necessary part of deterrence before a crisis actually begins. – So we are still quite far from the so-called military Schengen Zone, a requirement you have suggested several times. – I do not know how far are we exactly but my experience from an exercise in 2017 is that it is not as good as it could be in terms of the ability to move quickly. I remember I was at Pápa air base and I got on my airplane to fly to Bulgaria – which was a venue of the same exercise – and I was stopped by border control before I could take off and I had to show my passport again. That made no sense, we were there for an exercise and this has all been planned. – Last July you wrote a piece for Politico in which you argue against the installation of a permanent US military base in Poland, suggesting Russia would see it as a violation of the NATO-Russia founding act. 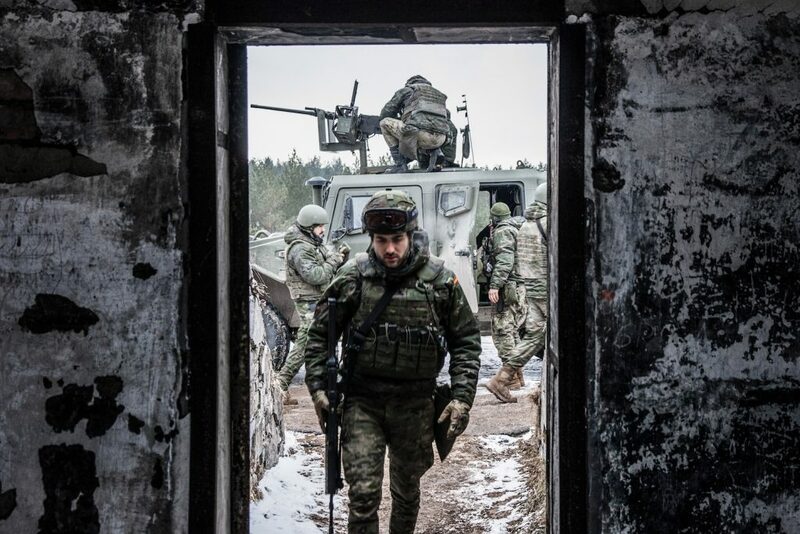 After Crimea, why should any NATO country care about what Russia thinks? – I have never been concerned about what Russia thinks…but I am always concerned that we maintain the unity of our alliance. That is what matters most and is most effective to protect our allies. So if we are going to permanently station US capabilities anywhere in Central and Eastern Europe, it should be done in consultation with allies. Poland is a great ally that is doing all it can and should to defend itself as well as contributing to the defense of others. I am satisfied that the Pentagon will complete the study it was tasked to do by the US Congress on this topic and make the right decisions, to include assessing the impact on the alliance. There are already thousands of US troops in Poland on a routine daily basis. So US commitment to Poland and NATO’s eastern flank is already very strong. But I can understand the desire to see permanent NATO infrastructure, commands and capabilities in Central and Eastern Europe. It would underline the full integration of these nations into the alliance and remove any sense of tiered membership. If the alliance acts on this together, as we did in the deployment of the Enhanced Forward Presence (eFP) battle groups, then this will be a very powerful and effective deterrence measure. – If Poland asked to set up Fort Trump, would it have an unconditional support in the Pentagon? – The Pentagon’s study I mentioned above will answer that. It will be completed by the 1st of March. – What should Europe learn from Russia? – To never trust them or expect them to live up to any agreement they have ever signed unless there is complete transparency and a very strong verification protocol. – Due to the veto of the Hungarian government, Ukraine’s NATO accession process is at stalemate. How bad is it? – … in order to make Ukraine move closer to NATO? – The West and the whole international community needs to support Ukraine. The incident that took place in the Kerch Strait in late November was one of the most brazen things I have seen in quite some time: Russia directly attacked and seized Ukrainian naval vessels and unlawfully and unnecessarily detained sailors of the Ukrainian Navy and already gave them a 2-month jail confinement. What kind of ridiculous, third world sort of justice system is that? Crimea is sovereign territory of Ukraine. It was illegally annexed by Russia, therefore it is claiming territorial waters outside Crimea which is illegal and then it violated its own treaty with Ukraine about freedom of movement in and out of the Sea of Azov. The complete false narrative that it was Ukraine being provocative and it is Ukraine’s fault that this whole thing happened is of course nonsense. It is the same sort of defense as if a woman had been raped and then somebody would say “look at what she was wearing, she deserved to be raped”. That is the same argument that the president of the Russian Federation is using. The whole international community needs to be very loud and clear and strong that this is unacceptable otherwise this would just continue and it will not ever stop because Russia‘s goal clearly is to completely dominate the entire Black Sea and also to make sure that Ukraine could never be a part of the West in any sort of arrangement. – Therefore the Hungarian veto that blocks Ukraine’s NATO integration is something regrettable, isn’t it? – It is important to keep our eye on the bigger strategic issue, which is protecting sovereignty of European nations. – What exactly should be done to have a more secure Europe? – Maintaining the highest level of readiness with all available means as well as getting all allies to recognise the threat and the need to improve readiness. The aforementioned military mobility and intelligence sharing should be also improved. 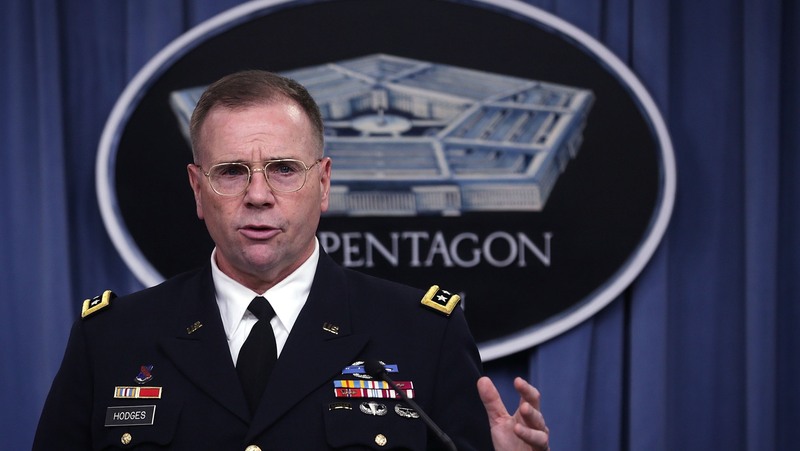 – If you were still an active general, how hard would it be for you to serve president Trump? 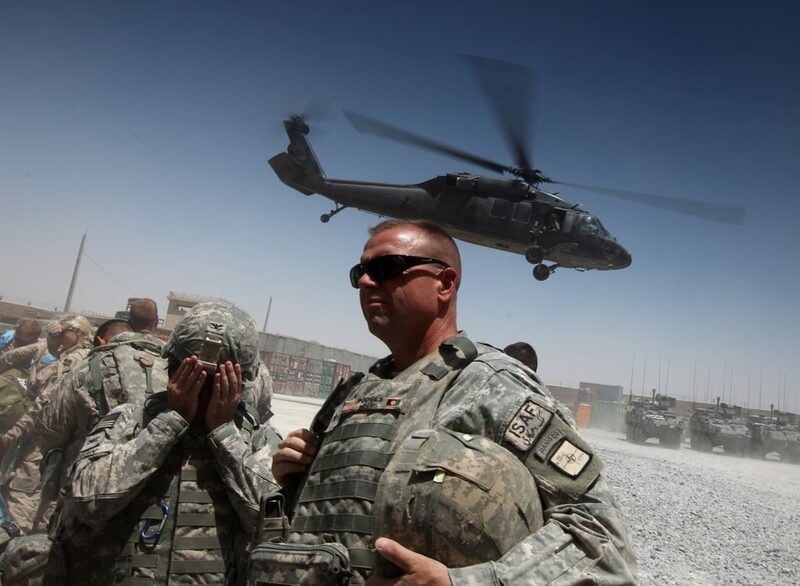 – Every officer in the United States military takes an oath to support and defend the constitution of the United States. We do not think about whether or not we can serve any particular president, the elected leader of the American people. The president is the commander in chief, according to the constitution. The Congress also has authorities as part of our checks and balances system. – Even the president’s comment about Montenegro could not break the ice? – I was extremely disappointed that the president of the United States said that. That is a gift to any potential adversary. President Trump suggested that the United States might not fulfill its obligation with regards to Montenegro. I was astounded. That is not good for the alliance when the United States gives any reason for any doubt; that is not what leadership is about. I am a big believer in the strength that comes out of positive leadership and that does not mean that we should not put pressure on our allies to do their share and to prove their readiness but I could never imagined a president to question Article 5.